For more information about this event, please contact DMusic at dmusicofficial@hotmail.com. 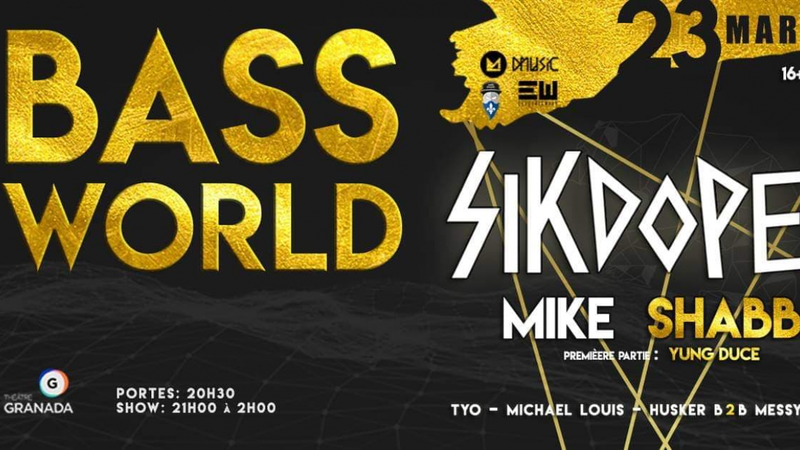 DMusic is proud to present BASSWORLD, its first major event in Sherbrooke, at THE GRANADA THEATER. We will never stop pushing the limits to make you live an extraordinary experience. An evening with 1 Dj internationnal, 1 rapper who is in demand and local DJs who will play on a stage filled with lights and special effects breathtaking! An incredible variety of music styles will charm everyone!